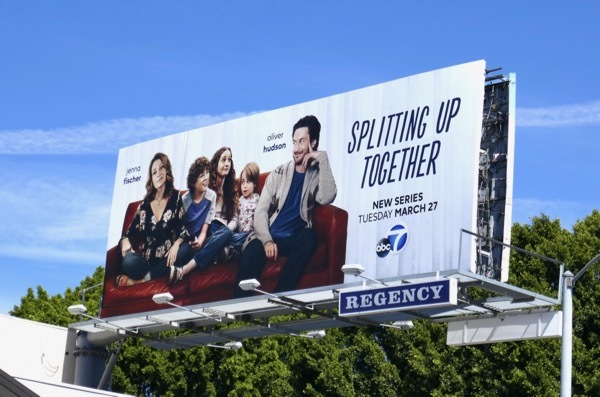 This new spring TV season Jenna Fischer and Oliver Hudson star as a married couple who've decided to call it quits and are Splitting Up Together. 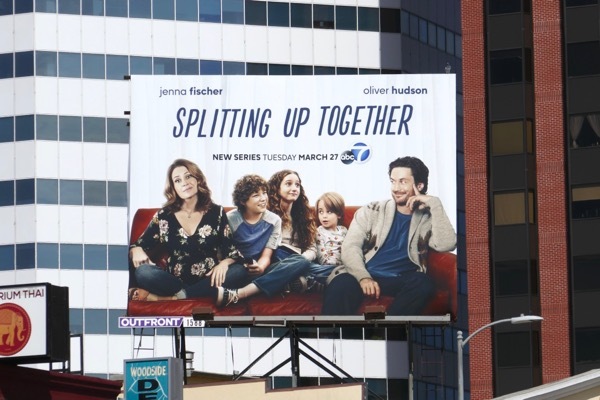 Based on a Danish sitcom, the divorcing couple decide to live under the same roof for financial reasons and to co-parent their three kids, hopefully with hilarity ensuing. 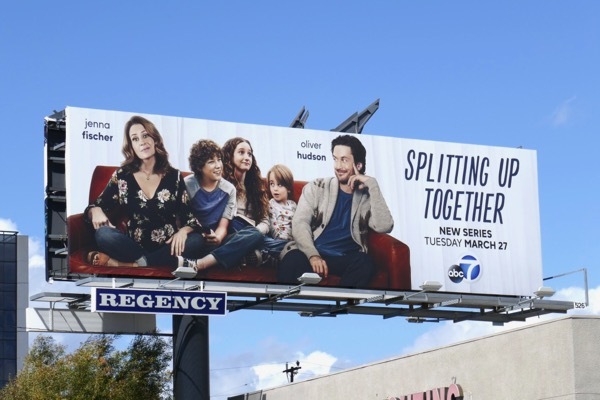 This series launch billboards were first spied along Bundy Drive on March 15, 2018, then snapped the next day above Sunset Boulevard. 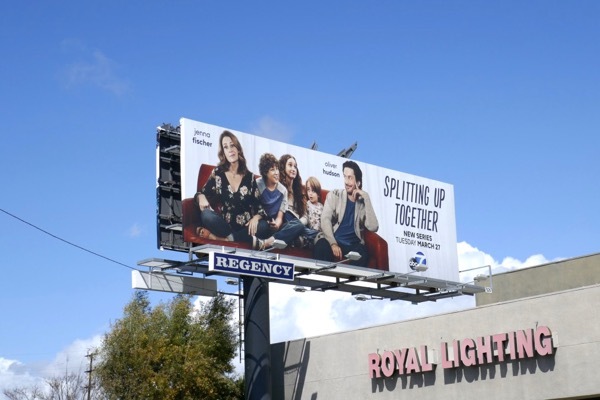 For more comedies that found the funny in separation, make sure you check out these Divorce billboards and this Marlon sitcom billboard. 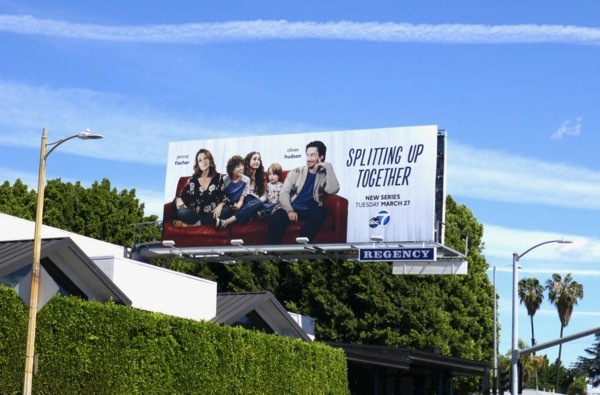 Not all marriages last forever, but only time will tell whether no longer being spouses will bring these exes back together or drive them further apart. 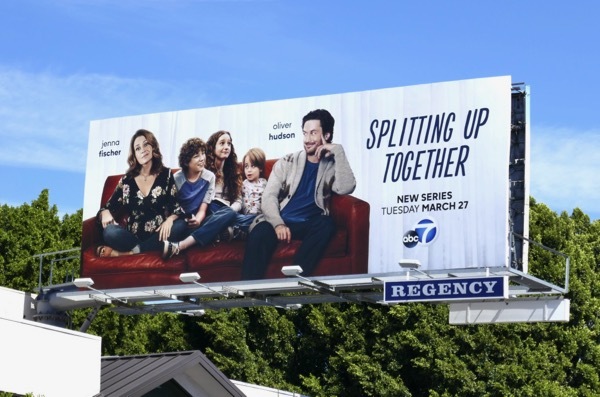 UPDATED: Here's another squarer billboard format for the family sitcom spied above Westwood Boulevard on April 8, 2018.